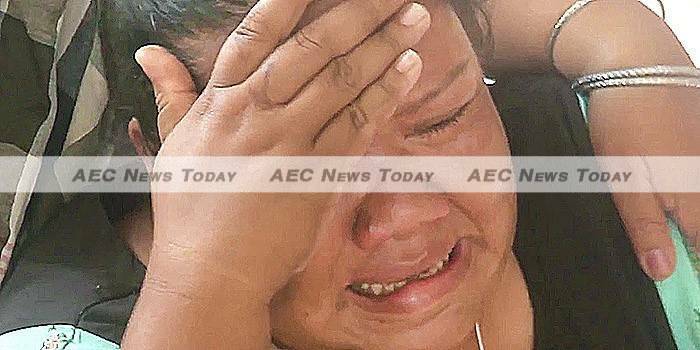 In Thailand a family is in mourning following the beating to death of their son, a recent conscript in the Royal Thai Army (RTA). Songtham Moodmud, 23, is the latest victim of extreme bastardisation (defence force abuse or bullying) perpetuated by those entrusted to shape the kingdom’s youth into a disciplined armed force. Private Moodmud succumbed to injuries received at the hands of his RTA instructors on Monday, two days after being admitted unconscious to the ICU ward of Yala Regional Hospital; his mother telling local media his body was covered in bruises and that he had also suffered a brain haemorrhage. As the death of Private Moodmud set Thai social media channels ablaze with outrage, the RTA attempted to deflect blame from itself. RTA spokesman Colonel Winthai Suwaree claimed the beating was punishment for a serious disciplinary offence. Private Moodmud, he said, was guilty of drug abuse at the Payak Military Camp. However, Private Moodmud’s uncle, Manop Sonthong told BBC Thai he didn’t believe the accusation. The claim by Mr Sonthong gained more weight when Thailand Channel 3 reporter Thapanee Letsrichai posted on her Facebook page that another conscript had also been beaten severely at the same time as Private Moodmud. According to Ms Letsrichai, a friend of Private Moodmud at the same Thai army military base, 23-year-old Private Chatphisut Chumphan, was also beaten badly at the same time. The beating, Private Chumphan said, was over the theft of money. Private Moodmud was not using drugs. The pair were punched, kicked, and burned with candles during the Thai army bastardisation session, which went on continuously for about seven hours. The RTA was quick to apologise for the death and, as has been the case with past Thai army bastardisation cases resulting in death, assured the family publicly that they would be compensated for the death of their son. In 2011, 26-year-old conscript Private Wichian Phuaksom was killed in a Thai army bastardisation session at an RTA training camp in the southern province of Narathiwat. An investigation found that RTA Sub-Lieutenant Om Malaihom ordered Private Phuaksom’s beating and torture by a group of soldiers and non-commissioned officers (NCOs) because he had run away from training. However, to date no one has been prosecuted over Private Phuaksom’s death. In fact, while the RTA at the time issued the same apologies and promises of compensation, the family of Private Phuaksom had to sue Thailand’s Ministry of Defence (MoD), the RTA and the Prime Minister’s Office before receiving compensation: Bt7 million (US$198,694). 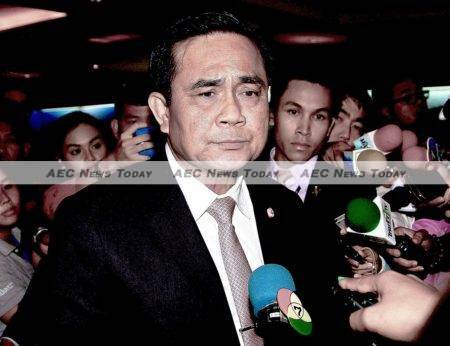 Thailand’s military junta leader, former commander-in-chief of the RTA, Prime Minister General Prayut Chan o-cha, who has claimed constantly that the longevity of his coup-established administration is to ensure law and order and stamp out corruption, has been mute on this latest incident of Thai army bastardisation. Nor is this the first controversy that the RTA has been embroiled in since it seized administrative power in May 2014. In June last year, a three-star Thai army general, Lieutenant General Manus Kongpan, was charged with involvement in human trafficking, while Bangkok’s high-society circles are said to be still gossiping about the audacious manner in which the RTA cleared itself of corruption allegations associated with the building of a park to honour the seven ‘Great Kings of Siam’. Amid increasing public uproar, the RTA announced Tuesday that a Sub-Lieutenant and six NCOs had been detained for 30 days and 45 days respectively. Prosecution, it said, would be up to the Royal Thai Police (RTP). While netizens and human-rights groups call for a transparent inquiry into the death of Private Moodmud and the end of Thai army bastardisation of troops, neither the government or current Commander-in-Chief of the RTA, General Teerachai Nakwanich, are making any such undertakings. In the only official comment issued by the government since the death of Private Moodmud, Deputy Prime Minister and Defence Minister Prawit Wongsuwon, also a former commander-in-chief of the RTA, said the offenders could face more punishment than the current periods of detention, including discharge from the RTA. Relatives of the victims could also file lawsuits, he said. The death of Private Moodmud coincided with the commencement of the Thai army’s annual conscription drive. This year, 101,307 new recruits, largely under-educated youth from the country’s rural north and northeast, will be drafted into the RTA for two years of military service. Most will find themselves stationed in the deep south, where Thailand has been losing a protracted battle against an ethnic and religious separatist insurgency since 1948. The latest Thai army bastardisation death comes against ongoing opposition to new legislation passed by the junta-installed National Legislative Assembly (NLA) late last year, enabling the MoD to order 300,000 men from the country’s 12 million-strong reserve force to report for active service annually. In Thailand, all males aged 18 to 30 are automatically members of the country’s reserve force. Although the amended Thailand Armed Forces Reserve Act prescribes that employers must continue paying salary for staff called up, those employed in Thailand’s extensive informal labour sector will receive no compensation for the two months they could be required to serve. As family and friends fare-welled the body of Private Songtham Moodmud by men wearing the same uniform as those who had killed him, past examples shows that promised compensation will only come after a lengthy series of court battles and that this is unlikely to be the last such case of a recruit killed in a Thai army bastardisation session.